Discussion in 'Announcements' started by Maggie, Aug 2, 2017. Hey everyone! We have some exciting news for the Pixelmon Servers! Over the next few days, you will see some of our Pixelmon Servers, starting with Kanto, update to the next version of pixelmon! You can only join using the Technic launcher and the modpack, which will be linked at the end of the post. Brand NEW pokemon have been added to this version, and MORE pokemon and features will keep being added in future updates! 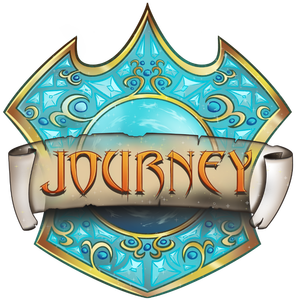 Our server is apart of the modpack server list, so make sure to look for Journey Gaming in the Multiplayer list! If you are not sure on how to install, please refer to the links posted below! See you all! Make sure that if you are from Kanto and Sinnoh that you update now! It says 5.1.4 but it works for the kanto/sinnoh server. Not a bad idea at all, Schuerbi. @Yami_AnimeRue No problem! The JourneyMap mod should be removed from the pack upon the next update as well so no worries. Where is the changelog on Technicpack launcher Pixelmon Reborn? (Where can i see the changes of the update) and How many times will the pixelmon servers on journeygaming update? Eveery single time there is a new version?